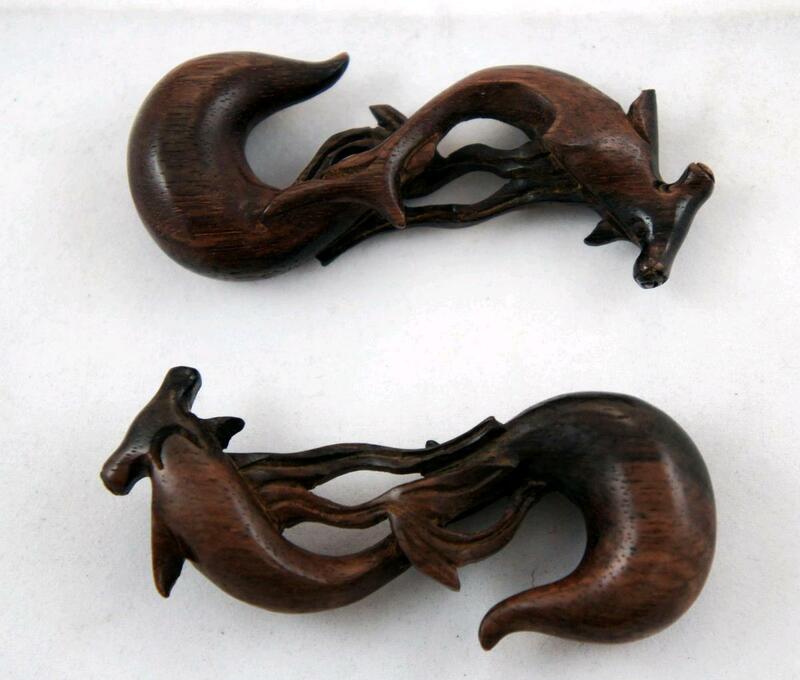 Pair of Ebony Wood hammerhead shark gauged ear hangers is a beautiful piece that is sure to attract comments. 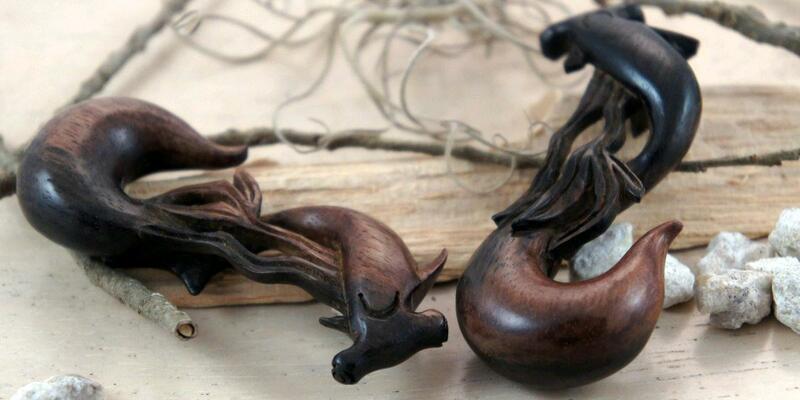 Each piece of Ebony Wood used in carving these earring gauges is meticulously gone over to find the perfect balance of wood grain and texture. 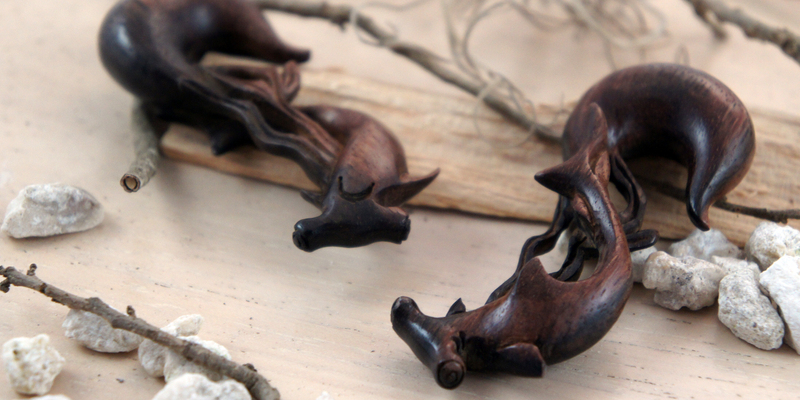 They are expertly handcrafted to make the shark appear to be swimming away from the gauged hangers. Seaweed envelopes the shark and helps maintain structural integrity for the overall piece. We try to carry a wide selection of sizes for our gauge earrings, but if you don't see your size listed please feel free to contact us or check back later since we're constantly restocking or adding new sizes and styles to our line.